It’s been a rough winter, and we’re pretty sure just about everyone is counting down the days until the arrival of spring. However, even though springtime should bring warmer temperatures, safety floor mats should be a top priority for facility managers and business owners as we’ll still have to deal with thawing ice and snow, rain, and blustery weather. With the right rubber safety mats and a proactive plan for safety, your business can quickly prepare for the upcoming changes in customer flow, weather, and seasonal risk. Rubber safety mats are commercial-grade industrial rubber mats that are ideal for dealing with wet spring weather. They’ll do the job when it comes to cleaning the shoes and boots of people who enter your facility, as well as helping to keep the floors dry. Rubber safety mats are typically made with high quality, resilient commercial-grade rubber, such as Nitrile. The top surface of safety floor mats is designed to dig and dislodge tough dirt, gravel, mud, and other debris. In addition to scraping away debris, industrial rubber mats are also highly effective when it comes to wiping shoes dry after being out in the spring rain. In addition to cleaning and containing debris, rubber safety mats can also improve friction and traction between shoes and surfaces, reducing the risk of slip and fall accidents. Helping promote safety in high traffic, both outside and inside your business. Being able to contain liquid and oil within the surface of the mat, protecting your floors from damage, wear and tear. Providing antimicrobial properties that protect your business against the spread of micro-organisms and odor. Being easy to clean and maintain. A reduction in daily cleaning costs by minimizing tracked-in dirt, debris, and water. Helping foster a great impression with your customers. 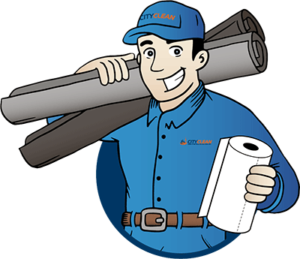 Your business will look well maintained, and customers will see that you care about their safety and comfort. A welcoming entrance and clean, dry floors are important to your customers, which makes it very important for your business. To make the most of the upcoming spring season, take the time to make sure your business is ready to handle the change in temperatures and seasonal weather. 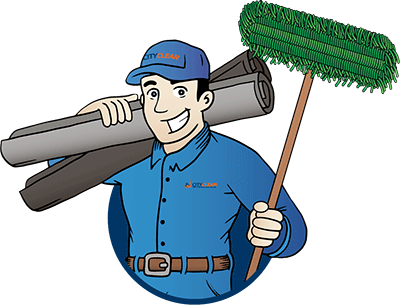 We invite you to visit City Clean’s website to learn more about our full range of commercial floor mat options. 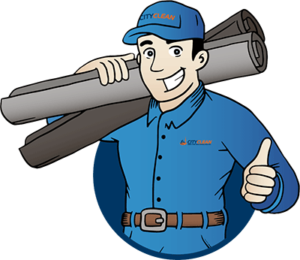 For additional information on rubber safety mats, or for assistance in selecting the perfect mat for your needs, call City Clean at 1 (877) 649-7747.